The PSEi moved up today by 0.34%, however, my portfolio is still bloody red. The market has been going down month by month and day by day. According to this month's Truly Rich Club (TRC) Stocks Update, COL Researches are seeing signs of a bear market. You might have heard of the terms Bull and Bear Market. Let's look at how they are defined. According to www.investopedia.com, it is a bull market when prices are rising or are expected to rise. We experienced a bull market early this year when we hit 7000 level and more. 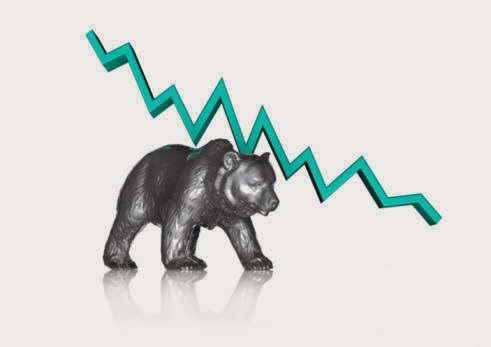 A bear market, on the other hand, is a market condition in which the prices of securities are falling, and widespread pessimism causes the negative sentiment to be self-sustaining (www.investopedia.com). This is the time when the market is down or is expected to be down for months or longer. Is Philippine Stock Market in the Bear Market already? 1. Its index must drop 20% from its high. 3. The drop is carried over a 2-month period or more. So far, the first two prerequisites have been satisfied but not the 3rd one yet. Though this is the case, the market is still showing a downtrend which has been caused by some events such as US Fed Tapering, Typhoon Yolanda destruction and Foreign investors continued selloff. What to do during a Bear Market? For short-term investors, a bear market might not be a good time to invest. This is because the market might be down for a long period which means profit-taking will be very hard during this time. For long-term investors (such as Truly Rich Club members), we are taught to take this event, when the market is down, as an opportunity to buy great companies at a cheaper price. TRC provides a list of companies that we should invest in and what prices are to be considered for buying and selling shares. So as long as it is within the "Buy Below Price", we continue to accumulate shares at a regular basis (can be monthly or weekly depending on your fund availability). If you are planning to be a long-term investor, this time of the year is a good opportunity to buy. Get that extra cash left from your Christmas bonus or incentives, and open an account in COL Financial. To get updates and guides on what stocks to buy and at what price to buy or sell the shares, you can also visit the Truly Rich Club page and join to receive monthly stock updates. 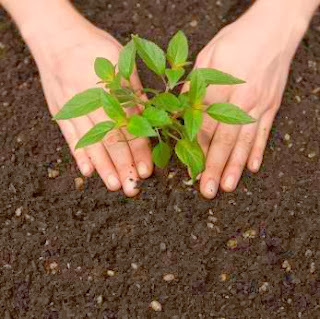 For long-term investors, this is our planting season. Don't miss the opportunity. Actually , It is a beautiful and modern website about financial market. It is a very beneficial for us. So, I like it very much. Many many thanks for make this website. If you want more informastion about stock screener to visit stock screener The Market Trend Signal™ Stock Screener is a powerful, robust tool for traders and investors. Screens can be made using the proprietary buy, hold, and sell signals that are proven to work. The stock screener also includes a back test tool allowing traders to test how stocks have performed within the desired screen. You can also screen for StrengthRank™, a proprietary ranking feature of the Market Trend Signal system. StrengthRank™ finds the cream of the crop, the best in class stocks that institutional trading firms are interested in accumulating. Sign up for a Free 30 day trial to Market Trend Signal today and experience the industries top stock screener. Surely , It is a elegant and modern website about financial market. It is a very beneficial for us. So, I like it very much. Many many thanks for make this website. If you want more informastion about stock screener to visit stock screener At this time, simply by working on the actual substantial components having an effect on any stock's fee, Stock Screener helps their very own customers essential quantitative analysis. Put simply, given that it, the actual testing targets palpable factors including promote capitalization, sales revenue, volatility along with turn a profit profit margins, and even effectiveness ratios for example the P/E relation as well as debt-to-equity ratio. For several evident arguments, it's not possible to work with a Stock Screener to look for a provider who makes all the top products. Nice post & blog.. thanks for sharing.. This is the time when the market is down or is expected to be down for months or longer. Attractive post....updating us with a detailed information about the philippine stock market,which will be profitable for new market investors,specially those who are looking for stock signals.